What would qualify as your most important part of your fishing gear? Your spinning reels? A flashy new rod? The tackle boxes? How about your sunglasses? Not many anglers put these at the top of their list, but having the right pair of sunglasses can be just as important as the rest of your fishing gear. It lets you clearly see while protecting your eyes by reducing glare on the water surface. But how do you know which ones are best for fly fishing? 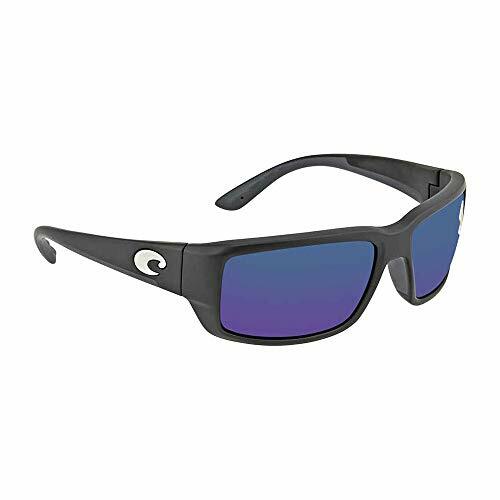 With dozens of manufacturers offering fishing sunglasses with all sorts of designs and innovations, decision making efforts can prove overwhelming. 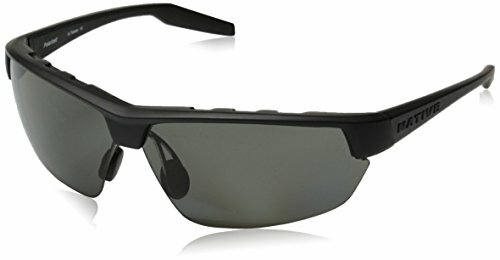 The good news is that we have done all the hard work and compiled a list of the 8 best sunglasses for fly fishing to aid your search. But first, below are a few things you should consider when shopping for fly fishing sunglasses. The main choices when it comes to lens material include glass and polycarbonate. Glass lenses have better scratch resistance and visibility, but are heavier than polycarbonate. Also, polycarbonate offers more durability and can outlast their glass counterparts in rough environments. Some manufacturers provide CR39 lenses. The material is similar to polycarbonate in that it is lightweight and strong. The main difference is that CR39 is more scratch resistant and expensive. Copper or brown lenses are an excellent option for saltwater fishing. This is because they offer a good definition, thus increasing the contrast between fish and water. They are also ideal for sunny conditions. Amber lenses are excellent in low light conditions as they filter the blue light. We recommend them for fishing at dusk or dawn. Gold, amber and yellow lenses help improve depth perception and offer great visibility in sunny or cloudy weather. Dark amber lenses are particularly suitable for shallow water fishing. Gray and green lenses offer light reduction without distorting color. They also do an excellent job of minimizing eye fatigue. While great for cloudy conditions, rose, vermillion and copper lenses will not provide any protection on sunny days. They merely enhance contrast and improve depth perception for aqua colored backgrounds. Polarization is the new norm when it comes to fly fishing glasses for many reasons. It reduces the strain of squinting to see clearly and cuts the impact of a harsh glare. More importantly, polarized sunglasses protect your eyes from exposure to harmful UV rays. By eliminating reflective glare, polarization allows you to see into the water. On the other hand, low-end sunglasses distort vision, affect clarity and put anglers at risk of damaging their vessel or injuring themselves. Ultraviolet protection is crucial, especially when fishing in the summer. Too much exposure to ultraviolet rays has been linked to conditions like macular degeneration, cataracts, pingueculae and cornea sunburns. The American Optometric Association suggests purchasing sunglasses with 99%-100% protection from UVA and UVB rays. They should be able to screen out 75%-90% visible light and have wrap-around frames that limit sunlight to your eyes. A great alternative to polarization is mirrored coating. A lens with a mirror coating reflects light away from the eyes. The downside is that wearing mirrored sunglasses can be uncomfortable, especially since making eye contact is nearly impossible. They filter the amount of light passing through by 10-60%, making them an excellent option for water, sand, snow and high altitudes. Mirror coating also optimizes resistance to wear and tear. Stick with fly fishing glasses that wrap your face and provide extensive coverage. The frames should have thick temples that block out sideways light without interfering with ventilation. They should feel lightweight, stay on your head at all angles, and not touch your eyelashes or pinch your nose and ears. There really isn’t a difference between saltwater and freshwater fly fishing sunglasses. As long as they are polarized, fit comfortably, have good build quality and provide plenty of UV protection, you should be good to go. Some manufacturers offer fishing sunglasses with prescription lenses. 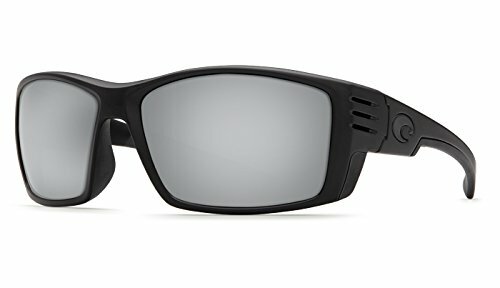 They are a fantastic option for anglers who don’t want to have to decide between their spectacles and fly fishing sunglasses. They are pricier than ordinary sunglasses, but worth the price if suffering from conditions like myopia, astigmatism, and presbyopia. Most companies offer a warranty on their fishing sunglasses as a way to reassure customers of quality and reliability. Costa Del Mar backs theirs with a limited lifetime warranty that covers defects in workmanship and materials. The same is true for Pelagic Gear and Bucci Sunglasses. There is a good reason why many fly fishing experts turn to Smith Optics Guides Choice Sunglasses. They boast polarized lenses that offer optimal clarity while ensuring maximum protection from harmful UV rays. There are multiple lens color choices including Polar Blue Mirror, Polar Low Light Ignitor, Polarchromic Copper Mirror, and Polarchromic Ignitor. The lenses are made from Tech Lite Glass, which is polarized. These sunglasses use Grimalid TR-90 frame material with 8 base lens curvature. Hydrophobic and anti-reflective coatings further improve the performance of the lens. It blocks up to 99% of harmful light, allowing you to fish on the brightest days. Smith ensures comfort by incorporating Hydrophilic Megol nose and temple pads. Costa has a long-standing reputation for designing and producing comfortable sunglasses. Their products are durable and sharp looking. Cortez Sunglasses come with the high tech 580G glass lenses that offer superior clarity. Costa incorporates encapsulated mirrors between the glass to make the lens scratch resistant. Also, the 580G glass is 22% lighter and 20% thinner than the standard polarized lens. You can also opt for Costa Del Mar Cortez Sunglasses with 580P polycarbonate lenses. This is a light and durable material option with high clarity, lightweight and impact resistance. The C-Wall molecular bonded mirrors offer a smudge-free barrier that repels water, oil, and sweat for easier cleaning. There are five lens color options including blue mirror, green mirror, gray, silver, copper mirror, and silver sunrise mirror. 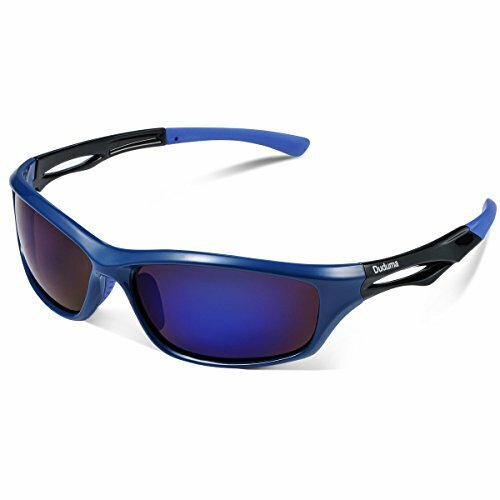 These fly fishing sunglasses feature Polarized Plus 2 technology, a multi-layer design that wipes out glare and stokes color. This ensures superior clarity while protecting your eyes from harmful UV rays. The lenses are made with three rare earth elements to maximize transmission of colors without distortion. This creates a visual acuity and contrast. The polycarbonate lenses have a 65mm width and 2” height, offering balanced coverage. Maui Jim uses a plastic acetate frame that can withstand the test of time. At 130mm long, the arms rest nicely on your ears. The bridge is 13mm wide and includes nose pads to ensure long-term comfort. There are three lens color options, which make for versatile applications. Native Eyewear has long been a trusted provider of quality sunglasses for outdoor adventures. 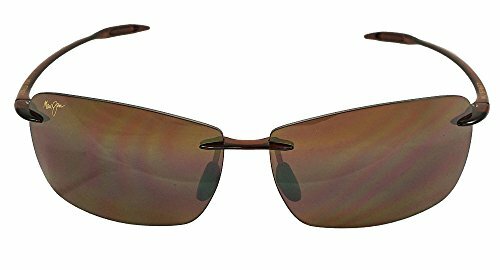 Their Hardtop Ultra Polarized Sunglasses come with oversized lenses that provide excellent coverage without being too large. The co-injected Rhyno-Tuff Air frames have a comfortable molding into the plastic to keep the shades in place. 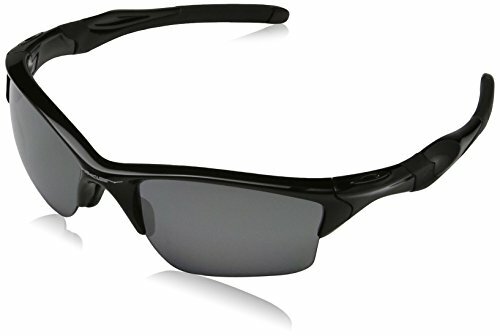 Additionally, the Hardtop Ultra Polarized Sunglasses feel snug without applying too much pressure. This is achieved with the Flex MetalTM Adjustable Nose Pad System that allows you to adjust the nose grips to match your schnoz. The frames are narrow and curve around the head nicely. The cam-action hinges hold the side arms in place without variation or slop. The Oakley Half Jacket 2.0 XL Polarized Sunglasses boast an interchangeable lens design that keeps you ahead of the varying light conditions. They wrap your vision in the superior clarity and visual fidelity of High Definition Optics. The XYZ optics extend clarity to the edges, giving you a broad peripheral view. Improved side protection from the sun and wind is offered by 8.75 base lens curvature while the semi-rimless design allows for an open downward view. The lenses are made from Plutonite, a material that filters 100% UV A/B/C light. Oakley uses the patented HDO technologies and innovations to deliver sharper vision and eliminate color distortion. The O Matter frame material is not only stress-resistant but also durable and lightweight. It offers all-day comfort and stays in place, even when you are dripping with sweat. The Three-Point Fit keeps the lenses in perfect alignment and improves comfort. The Duduma Polarized Sports Sunglasses utilize lenses with a dark tint to provide extra protection from the sun. It is easy to see through the lenses without worrying about color distortion. Polarization keeps exposure to harmful rays to a minimum while perfect lens alignment ensures all-day comfort. The lenses are made with 7 layers of TAC Polycarbonate material that doesn’t peel off or scratch easily. The upgraded frame is made from a stronger German Polycarbonate material. These sunglasses boast a lightweight design that allows for a variety of outdoor applications. They come in vibrant color combinations to fit different fishing conditions. Duduma offers a limited lifetime warranty, and 30-day money back guarantee on all of their products. The Suncloud Zephyr are multi-sport sunglasses that provide superior coverage. They use polarized lenses to minimize glare from water, snow, pavements, and sand. This reduces eye strain and allows for unobstructed views. The polycarbonate lens material is shatter resistant and lightweight. What we love most about the Zephyr is that it has a universal fit and adapts well to most faces. The Zephyr is available in multiple lens colors. Grey and brown lenses provide 14-15% visible light transmission while rose lenses offer 17-18%. The polarized red mirror offers 10% visible light transmission. The frame is made from TR90 thermoplastic and stands up well to abuse. The Megol nose and temple pads have a firm grip, unusually when wet, and guarantee lasting comfort. 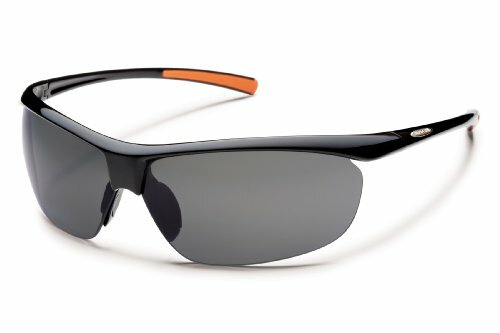 Costa’s Fantail polarized sunglasses are just what the doctor ordered for protecting your eyes from harmful UV rays when dedicating long days to fly fishing. They feature a 360-degree co-molded technology, specifically a Hydrolite lining along the frame interior. It keeps the frame in place and doesn’t slip when you sweat. Consumers have an option to choose between the tortoise and black frames as well as Costa 580 glass or polycarbonate lenses. The lens colors available include gray, amber, copper, green, blue and silver mirror. The patented Costa 580 lenses eliminate yellow light and raise green, red and blue areas. This results in sharper contrast and deeper colors. They are built with 100% UV protection and 100% polarization, hence perfect for bright and full-sun situations on open waters. These sunglasses are backed by a limited lifetime warranty. Before heading out to the next adventure, double check and ensure that your fly fishing sunglasses are packed. You don’t want to be without them. They will minimize glare and provide over-the-top protection. 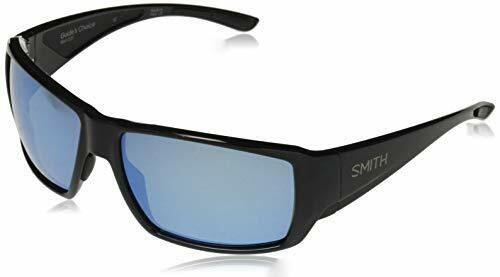 The Smith Optic Guides Choice is a top pick since they are durable, polarized and offer all-day comfort. They block out 99% harmful rays and fit snuggly. Of course, this doesn’t mean that the remaining sunglasses aren’t a worthy investment. They are viable options, come at different price ranges and can be used for any outdoor activities.